If you’re following the Paleo diet, you know how important prepping your meals ahead of time is. Otherwise you find yourself coming home from work, starving, and grabbing whatever you can find to eat instead of taking the time to make a healthy meal. That basically means we spend our Sunday afternoons prepping meals for the week, especially ones that can reheat well and still be as good as they were when first made. I love meatballs. I can eat them on top of zucchini noodles, spaghetti squash or all by themselves. I like to make this BBQ version to change up the typical Italian meat sauce flavor and throw in a little Texas kick to our meals. You can use pork or beef as well, but chicken makes a great option and the flavors work so well together that we usually just stick with chicken. 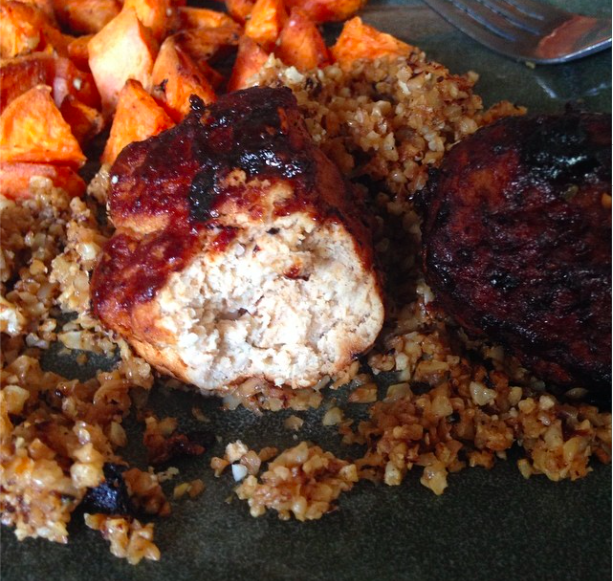 If you change it up at all, be sure to share so we can try your version too – Paleo love! Fresh garlic and basil make great additions, or you can season with Italian seasonings, salt, pepper, garlic powder and onion powder. Season to your liking – I use around a dash to 1/2 tsp for each spice. Roll into golf ball size meatballs. 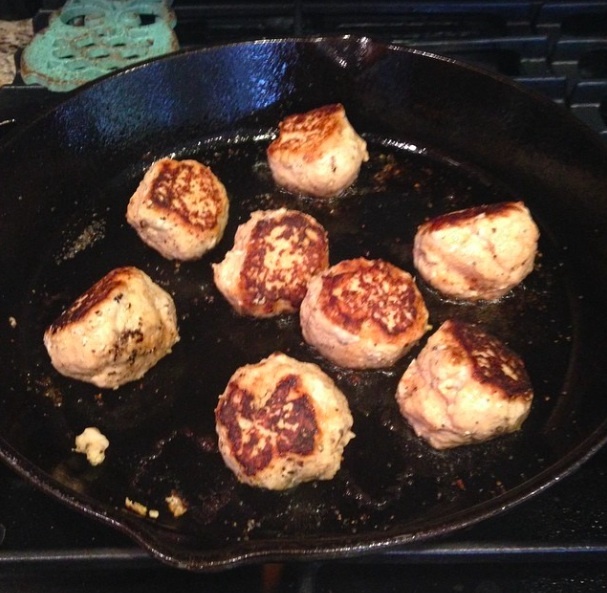 Drop meatballs carefully into the pan and allow to brown on each side for a few minutes. Roll meatballs with wooden spoon so all sides are evenly cooked, or of approximately 15 minutes. Reduce heat to low, and add BBQ sauce to the pan. Simmer at low heat for an additional 10 minutes. Serve with extra sauce for dipping. Add garlic and onions and saute till translucent/soft. Add mustard, paprika, chipotle, cumin and continue to cook. Add remaining ingredients and whisk till smooth. Bring to a light boil, reduce to simmer and partially cover with lid. Simmer 45 minutes and let cool.